Hi my name is Angela and I have had the pleasure of working with Bri for the past 3 years at Kingston General Hospital. 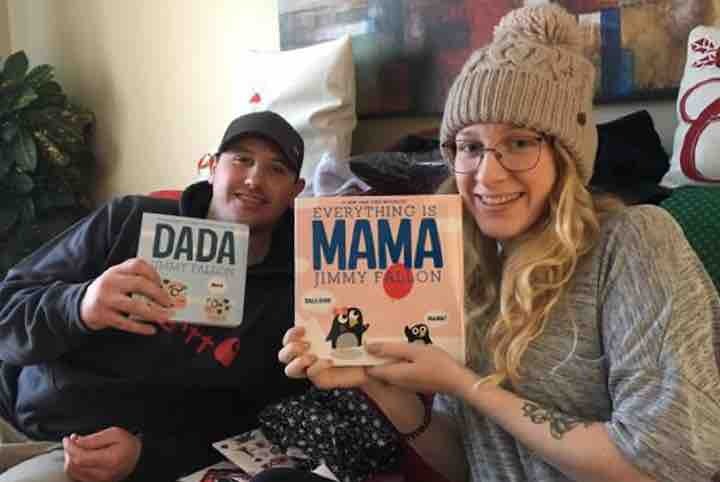 16 weeks ago Bri and Jared got the most wonderful news that they are expecting their first baby in June 2019. At a time where there should be lots of celebrations while preparing for their little bundle of joy, Bri got some unexpected news. Two days after Christmas she was given a diagnosis of Hodgkins Lymphoma and treatment will need to start as soon as possible. As a part time nurse in the cancer clinic so many emotions were going through her mind even though she has endlessly helped many of her patients go through similar situations. At 24 years old and pregnant, Bri and Jared should be planning for parenthood -not how they are going to afford the multiple trips to the hospital for chemo treatment, parking fees, not getting paid for days when she is too sick to come in to work and also the money she will have to pay out for prescriptions that she will require while getting treatment. Time and time again Bri has been there for her patients, now it’s time for us to be there for her. Help me help Bri by donating any amount that you can. If you can’t donate please share her story so she can have the financial support to pay for medications, parking, and days she can not work so she can rest not just for her but for the sake of her unborn baby. It’s not just her fighting this disease, she’s fighting for her unborn baby as well. Any little bit helps and all money raised goes directly to Bri and Jared. Thank you so very much for helping me help them and their unborn baby.